Here is fun DIY project for your home or to give as a gift. I think this would be the perfect present for any pet parent, and making it yourself adds a personal touch. 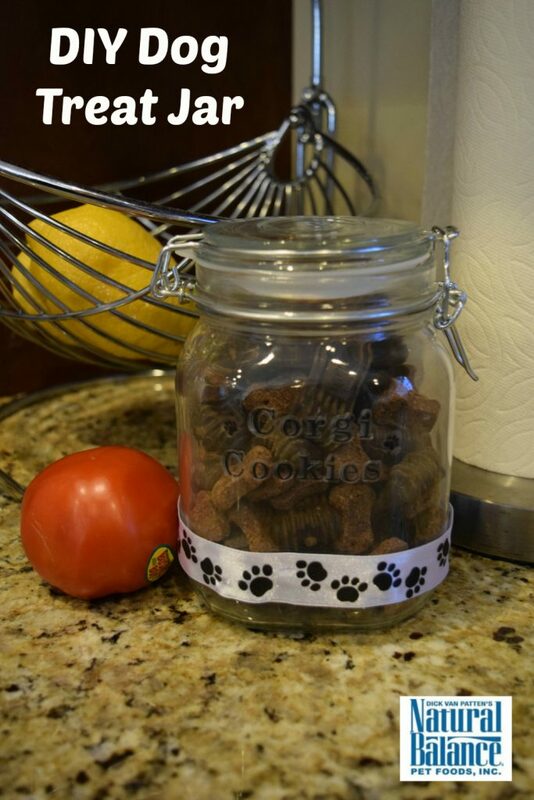 This DIY dog treat jar is super easy to make and very affordable. 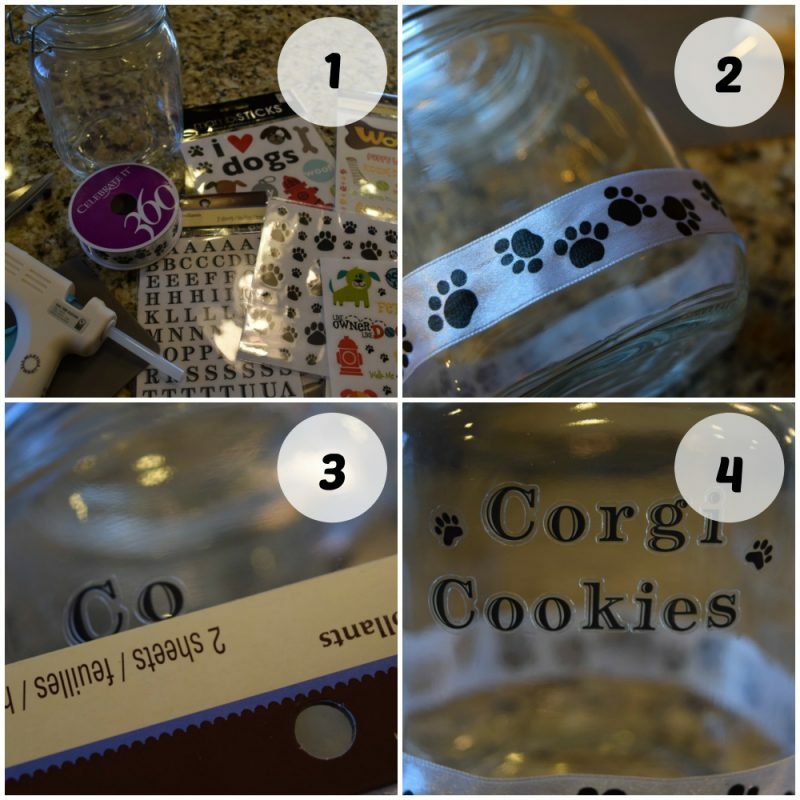 To get started, all you need is some ribbon, stickers, scissors, a glue gun, and a glass jar. You can get all of these items at a local craft store. I like to use canning jars with a good seal to help keep the treats fresh. I found some cute paw print ribbon and I am a sticker collector, so I had plenty of dog-related stickers to choose from. Cut the ribbon to fit your jar and then hot glue it in place. I put mine on the bottom part of the jar, but it also looks cute wrapped around the lid. Next, add your stickers. I kept with a black and white theme. 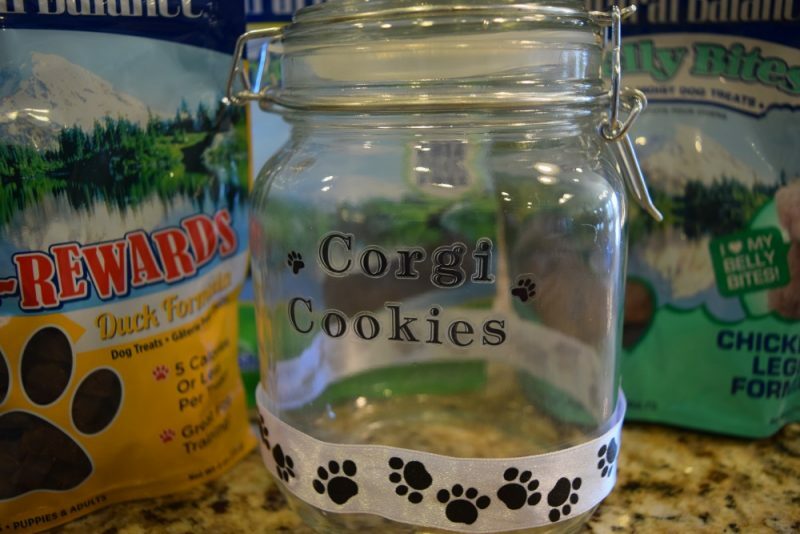 We call treats “corgi cookies” in our house, so I put that on the jar. To line up the letters, use any straight edge. I used the top of the sticker package. Stickers easily peel off of glass, so you can usually rearrange things as long as you don’t initially press them on too hard. 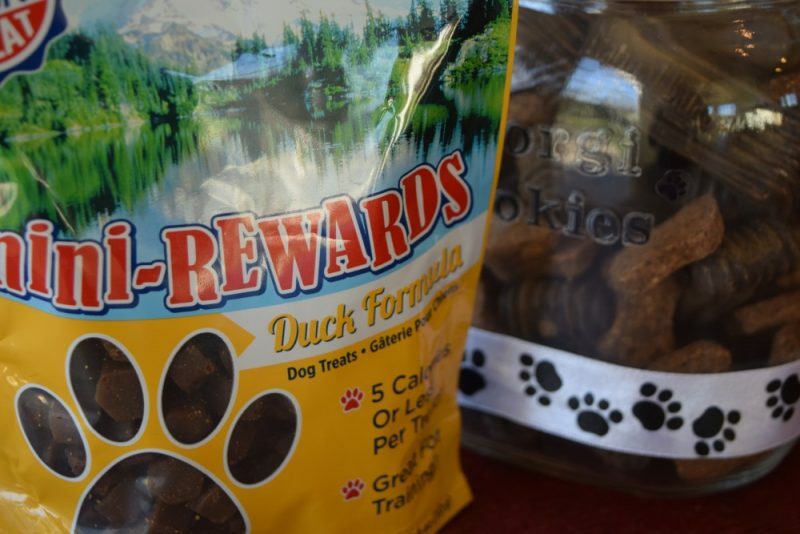 Now you are ready to fill the treat jar! I firmly believe that dog treats should both be both tasty and healthy. I look for grain-free treats with quality proteins. 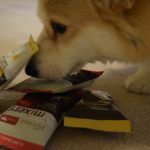 I filled my treat jar with Natural Balance treats which are made with premium quality proteins, no artificial flavors or colors, and have quality nutrition in every bite. 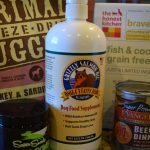 One of my favorite items are the new Natural Balance Dental Chews Fresh & Clean Formula, which launched just this past summer. 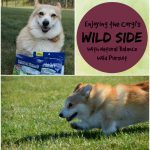 These grain-free chews are scientifically formulated to encourage your dog’s natural chewing instinct in order to help support healthy teeth and gums. 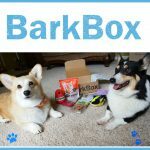 They help reduce tarter and help freshen your dog’s breath. 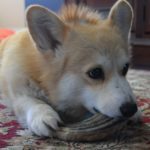 My corgis love them! Mini-Rewards are another of my favorites. 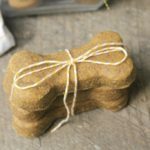 These smaller treats are a great way to reward and motivate your dog while helping your dog stay healthy and trim. 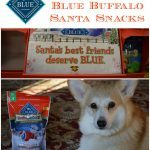 They have less than 5 calories per treat! 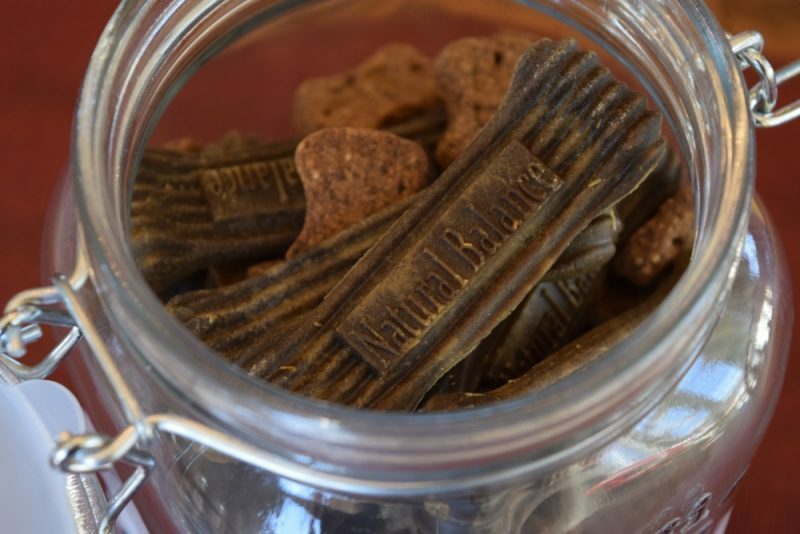 The dogs love their Natural Balance treats. They are backed by a buy with confidence guarantee and can be purchased at independent retailers and online. 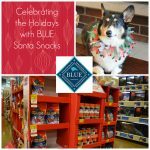 Learn more about Natural Balance pet treats. 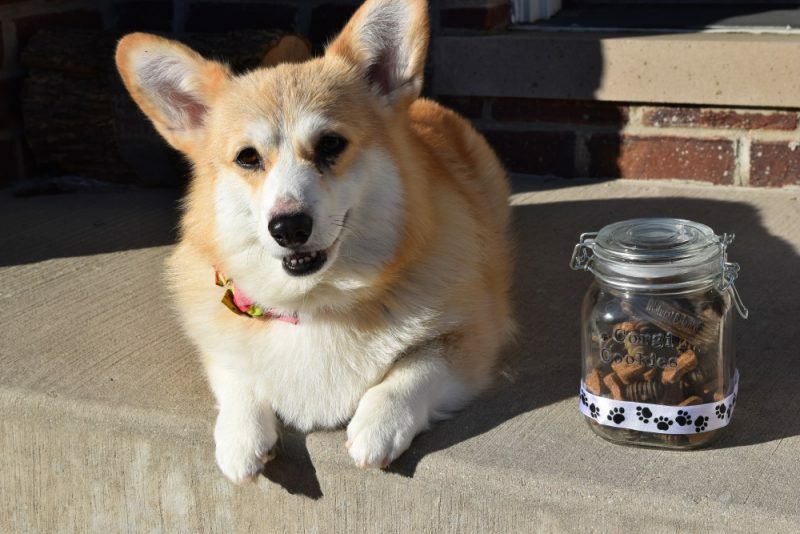 Your treat jar is cute! I’m so glad to see that there are now treats with limited ingredients. 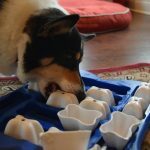 One of my dogs has some food allergies, and so I’ve just been giving her kibble as a treat, but I’d love to give her something special! I am going to make this to take to a friend’s house when we visit over the holidays. 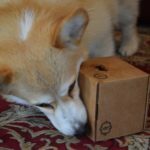 My dog loves Natural Balance dental chews and so we will give some away, too! Cute craft idea. 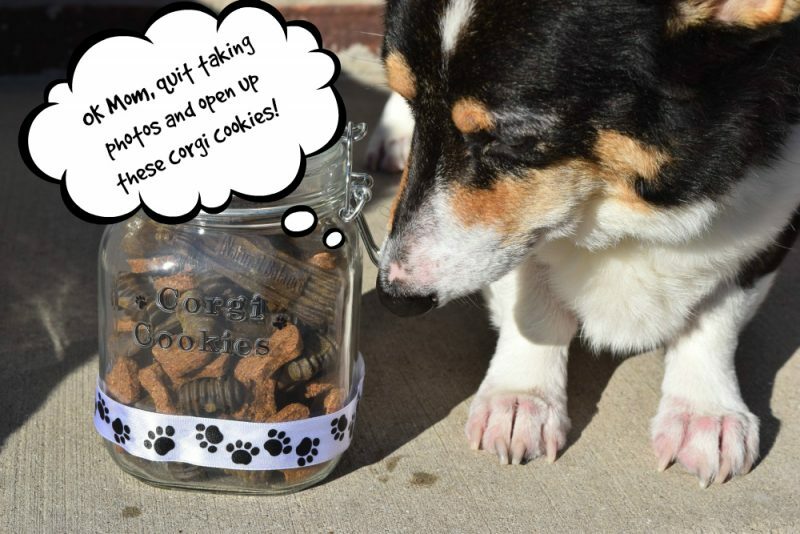 Great job on your treat jar, I love that you named it “Corgi Cookies”, that’s so cute! 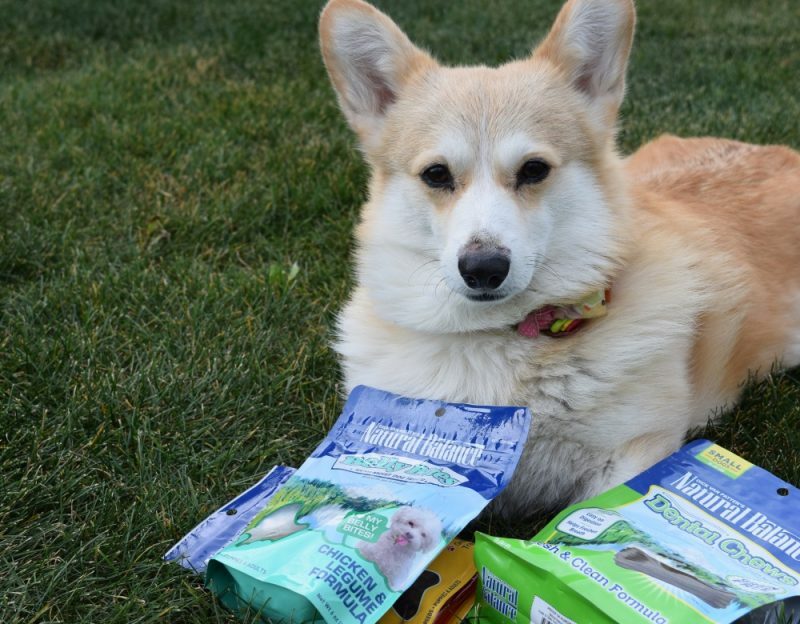 We love Natural Balance treats, pretty much all of ’em! I like that they’re healthy and made in the US.